Mountain bikes are a special category of bikes especially made to stand up to the ruggedness and roughness of cross-country cycling. 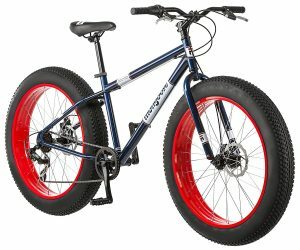 When compared with street or road bicycles and BMX bikes, these special hill bikes will often have larger bicycle frames and wider wheels. This increase in the size of the frame and wheel is meant to support the tough hilly landscape and surfaces. You can find a wide selection of mountain bikes at your online or brick and mortar bike shop. So, which type of mountain bikes are considered the best mountain bikes? You may have heard the terms hardtail or suspension in reference to mountain bikes. There’s a reason for this. Think for a minute about the experience of sitting on a saddle and riding across rugged hills, pastures, and rocks. Needless to say, the experience can do some damage to your behind and back. To alleviate the adverse impact on riders, these types of bikes will often have either front side or back suspension. Some more advanced ones have suspension systems in the front fork area as well as in the rear. Similar to the experience of driving in a car, the suspension, or shock absorbers, are meant to cushion the rider’s behind from the harsh impact of the rugged terrain as you ride across and up and down the slopes. Unlike a dual suspension bike, a hardtail, or hardtail mountain bike, as the name implies, only has a suspension in the front. Mountain bikes come equipped with a much wider and more knobby wheel. The tires on these bikes are referred to as knobbies. You can find them in any good bike shop. This name is derived from the bumps and protrusions in the tire. The purpose of those bumps or knobs is to grip the tough landscape and keep their hold on the rugged hillside. 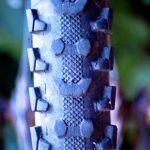 It stands to reason that the traditional bicycle tires most often seen on road models are simply not able to go up a rough surface. Traditional tires will just skid on the tough countryside. Mountain bikes are classified based on their degree of suspension. A full rigid mountain bike is similar to most traditional bicycles in one key respect. It has no suspension. This kind of bicycle is equipped with a fixed fork. There are no shock absorbers. A full rigid wouldn’t be considered among the best mountain bikes because these mountain bikes have no suspension or support for the rider. The opposite of a full rigid bike is a full suspension mountain bike. This kind of bicycle has shock absorbers, or suspension, in both the front and the back of the bicycle. A full suspension mountain bike is, therefore, the most comfortable type of ride a cyclist can endure on a hilly pasture, mountainside, or any off-road experience. The bike literally cushions the rider and absorbs the most punishing blows from the terrain. 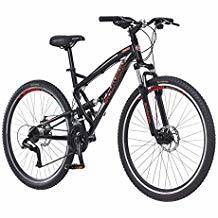 These features of full suspension mountain bikes are the reasons why many off-road cyclists rate them as the best mountain bikes. bike shop is a hardtail. Hardtail mountain bikes have front suspension and no rear suspension. It may seem like a no-brainer that a soft tail or full suspension mountain bike is preferable over a hardtail. However, many cyclists opt for hardtail mountain bikes precisely because they lack the rear suspension. They are concerned that the rear suspension may tend to make the cyclist work harder. Soft tail mountain bikes are equipped with rear suspension. However, this rear suspension is activated by the frame movement. This suspension in bicycles is less intense than the suspension in the full suspension bicycles. One key benefit of a mountain bike is that it keeps you in shape. Riding off-road requires physical exertion. Such a form of exercise offers a superb cardiovascular workout. It is also a great way to burn calories and remain slim. In bicycle riding as in other activities where one fall could result in serious head or brain injury, it is always recommended to wear a protective helmet. 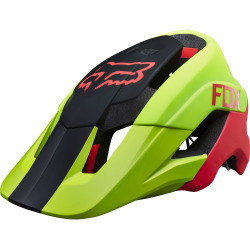 Most bikes shops, online and storefront, have a wide selection of helmets and protective headgear. Helmets save lives. My brother was hit by automobiles twice while bike riding. He continued his daily routine without any interruption. Then, two months later, one day I found him semi-conscious and on the floor in his home. Once we got him to the hospital, a brain scan revealed that he had sustained a serious brain injury known as a subdural hematoma. That injury had not been diagnosed and developed into a life-threatening situation. He required immediate brain surgery to relieve the pressure and swelling on the brain. The bottom line is that while bicycle riding can be lots of fun and great for your physical fitness, one accident or fall can result in catastrophic consequences. So, again, wear your helmet. You may not think it is cool, but the life you save may very well be your own. A riding helmet can protect you from severe damage. Whether you’re riding across hills and pastures, riding down the street near home, riding leisurely near the beach, or riding in a club with friends and colleagues. always wear your helmet. The advantage of using a mountain bike is that you are physically fit and can go anytime to visit the great outdoors. It gives a great cardiovascular work out of the heart and burns a lot of calories also. One thing you must remember when you are out biking is to always wear a helmet. The helmet has saved lot s of lives already and it just might save your own. Helmets can withstand a pretty severe crash. Even if biking only in the streets near your home, always wear a helmet.